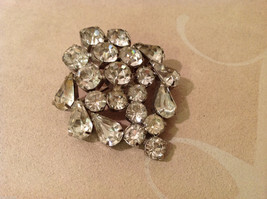 This item is selling for $26.99 on eBay. 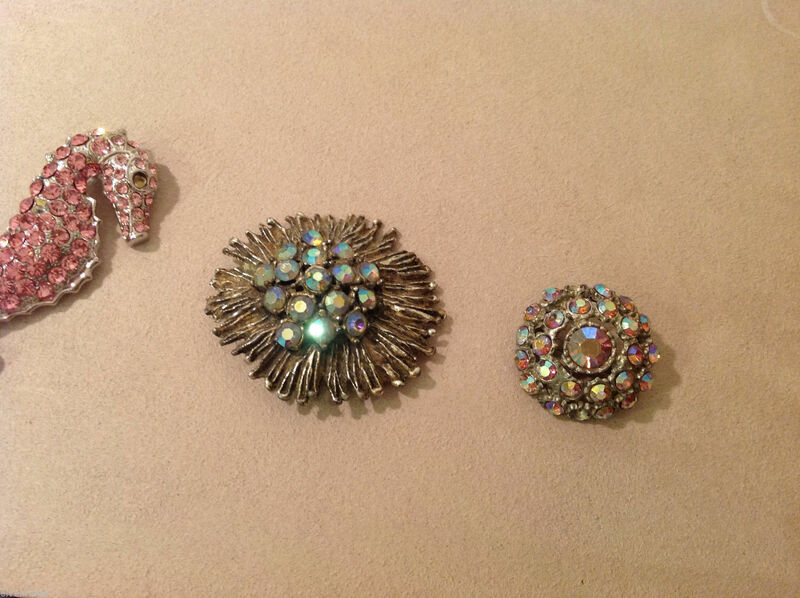 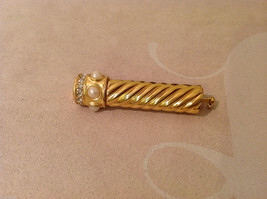 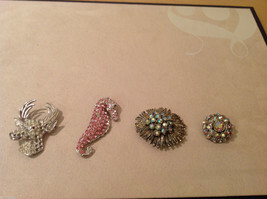 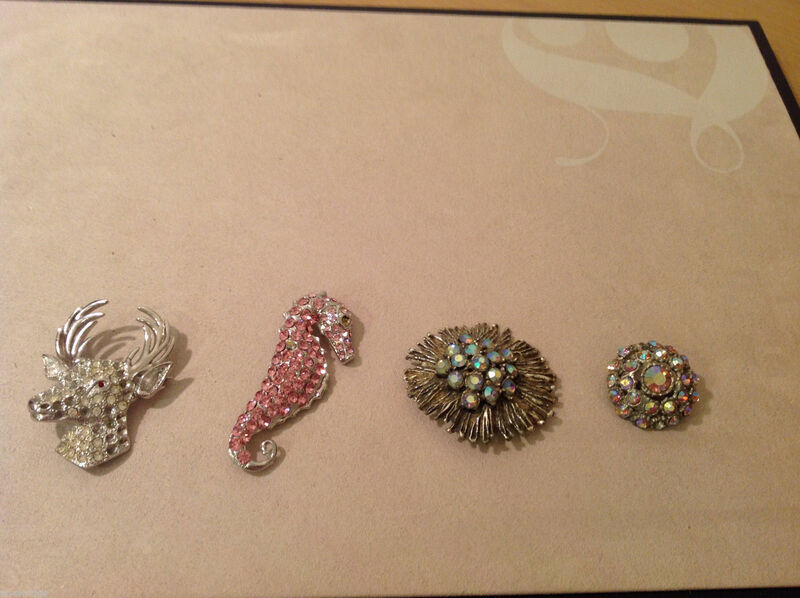 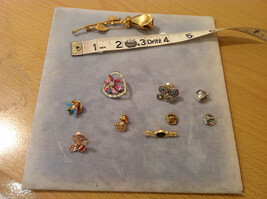 Lot of 4 different Costume Brooch Pins with crystals. 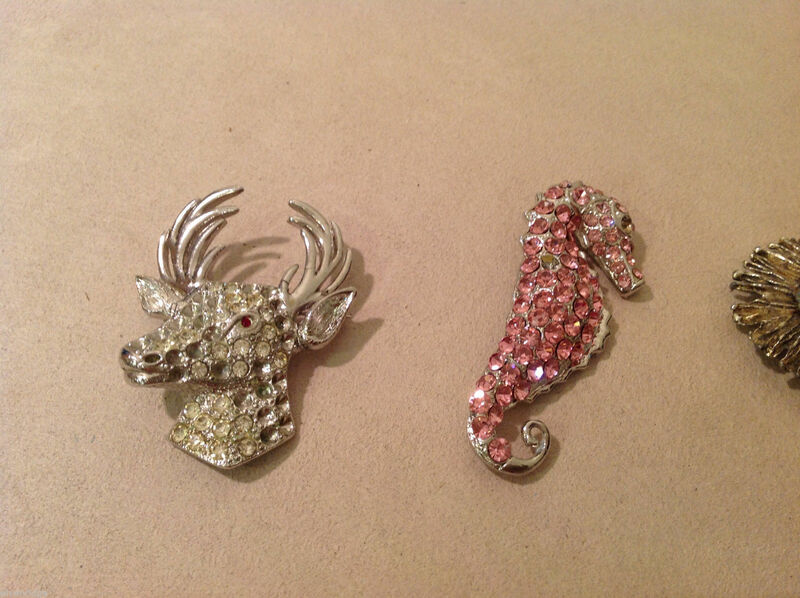 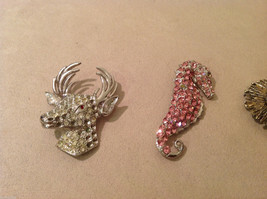 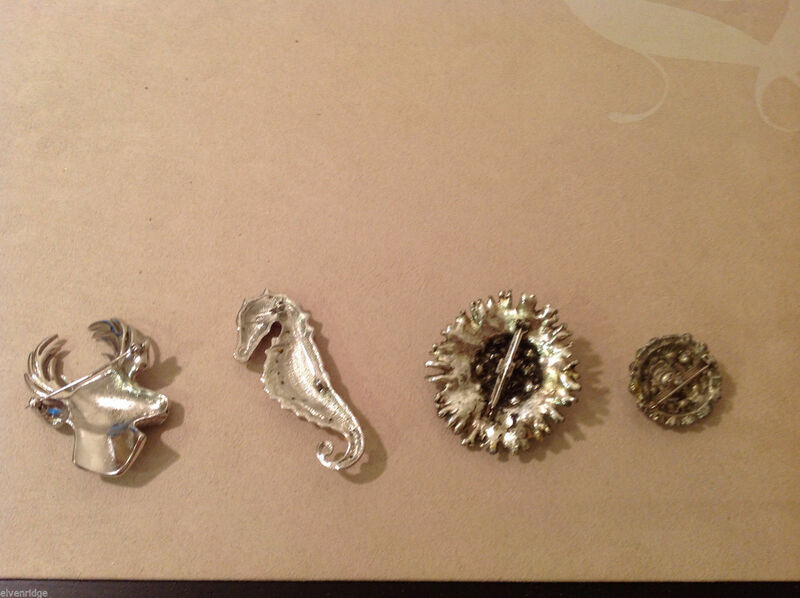 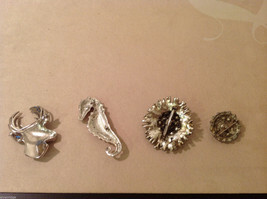 Deer / reindeer, Seahorse, Flower and Round Pin. Measurements: From 1-1/2 inches to 2-3/4 inches.